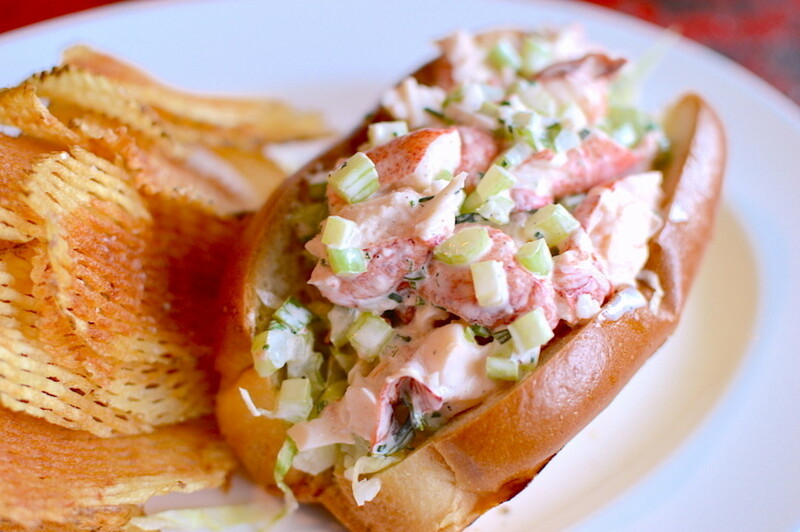 You don't have to head to Maine this summer to enjoy a big, buttery lobster roll. Summer is high time to indulge in lobster, and one of the best ways to enjoy this tasty crustacean is in one of its classic incarnations: the lobster roll. 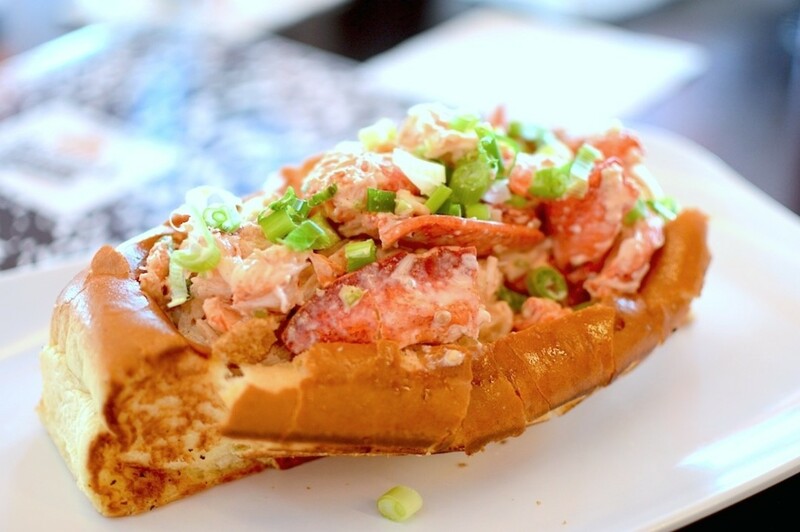 Behold, eight places in Houston where you can get your lobster roll on right now. 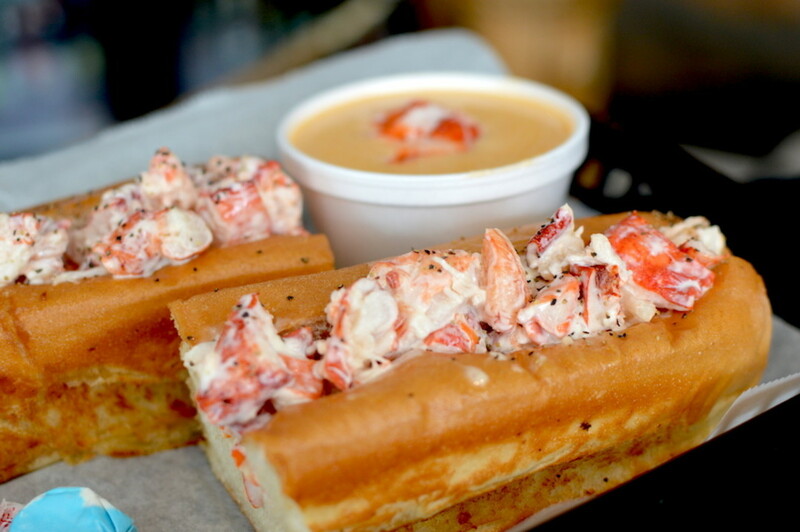 Vying for the title of best lobster roll in town is new kid on the block Bernie’s Burger Bus (5407 Bellaire Blvd., 713-349-9400), where owner and chef Justin Turner is offering a weekend special, off-menu lobster roll that’ll knock your socks off. “My inspiration is I haven't found a lobster roll down here I liked,” says Turner, who fills a buttery, lightly crisp and chewy Slow Dough challah bun with seven ounces of fresh lobster meat, claw and all. In fact, there’s so much lobster in the roll, you’re likely to run out of bread before you finish all the lobster. 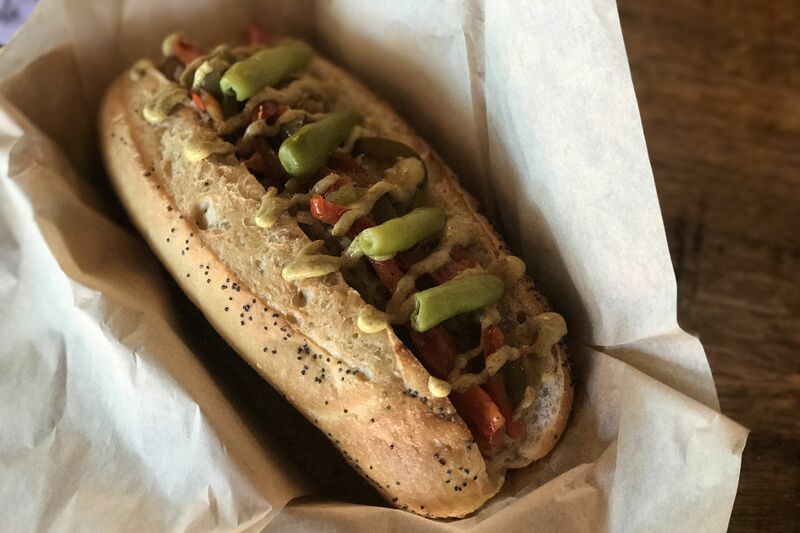 The caveat: it’s only available Friday through Sunday, and it’s a high sellout item, which means when it’s gone, it’s gone. 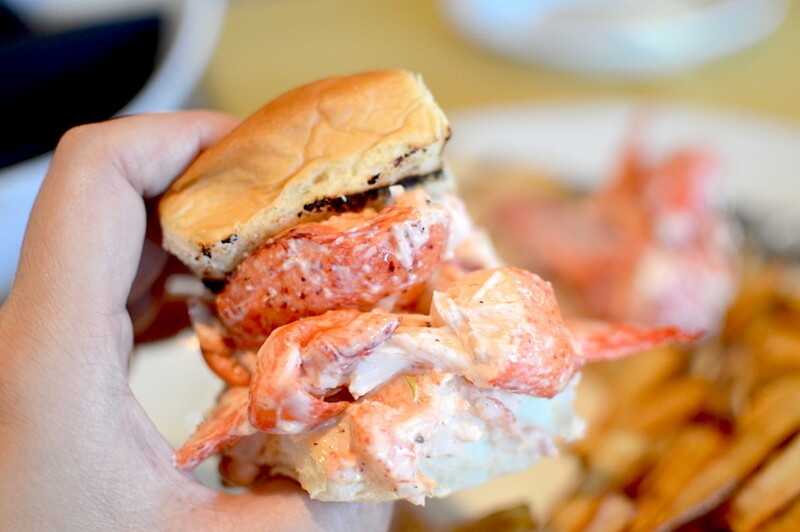 Okay, so a lobster roll roundup in Houston would not be complete without mention of Maine-ly Sandwiches (10745 North Fwy., 281-820-8920) where just one bite of the buttery, lightly crisped roll stuffed with beautiful chunks of orange lobster will transport you to that seaside tavern in New England, like, stat. On the afternoon we were there, we overheard a patron saying just that: “I grew up in Boston, and this just brought up all my childhood memories,” she said, adding emphatically “I will be back.” You can order halves, but the whole roll—stuffed with four ounces of lump lobster direct from Portland, Maine—is the way to go, if only to enjoy more of the roll, which is is soft like brioche, and slightly chewy like a croissant, and yet airy like sponge cake. The largest of all the lobster rolls on this list, chef Travis Lenig went to New England to do some reconnaissance before putting his lobster roll on the menu at Liberty Kitchen & Oysterette (4224 San Felipe, 713-622-1010). The result: A huge, moist, Kraftsmen roll filled to the brim (to the tune of the 8 ounces of lobster) with a mixture whole chunks of lobster in a creamy lemon tarragon sauce. Celery bits add texture to each bite of lobster-filled deliciousness, and house-made vinegar chips complete the package. They come to the table simply arranged on an oval plate, three tantalizing little rolls separated by crispy house-made lattice-cut potato chips. 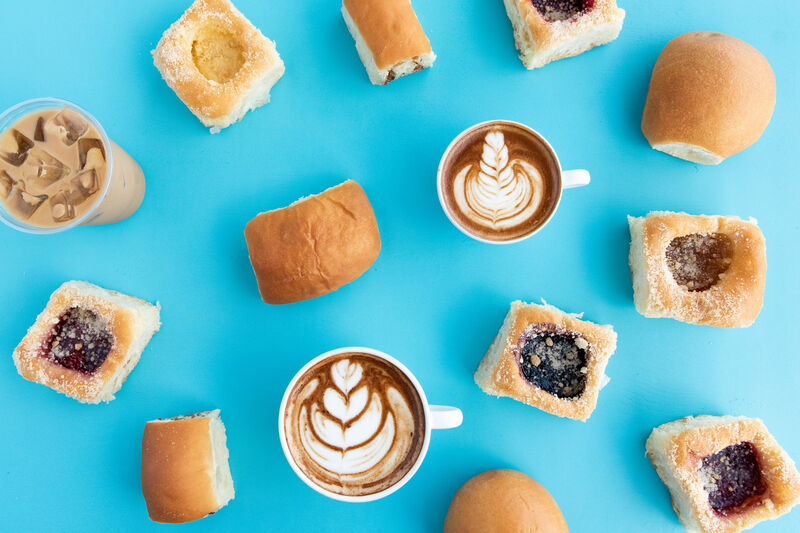 The rolls, like all the breads in the house, are made daily by Vallone’s (947 N. Gessner Rd., 713-395-6100) pastry chef and baker, and are soft and sort of spongy, with a texture and flavor similar to a brioche, only firmer around the edges. In the middle, pink tufts of Maine lobster meat spill forth, dotted with a just a smattering of green chives. 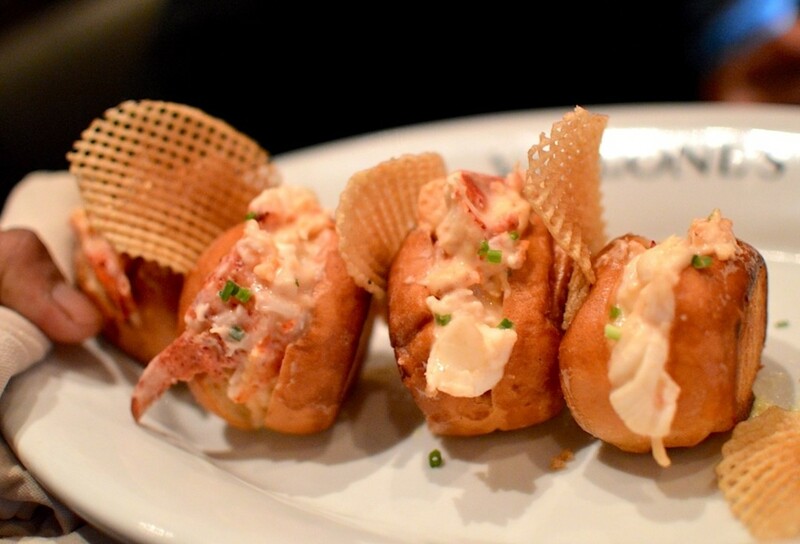 You can get about three to five bites out of each mini lobster roll, just enough to be satisfying, not enough to make you full—which is perfect for what it is, an appetizer and prelude for the main course (Vallone’s is a steakhouse, after all). 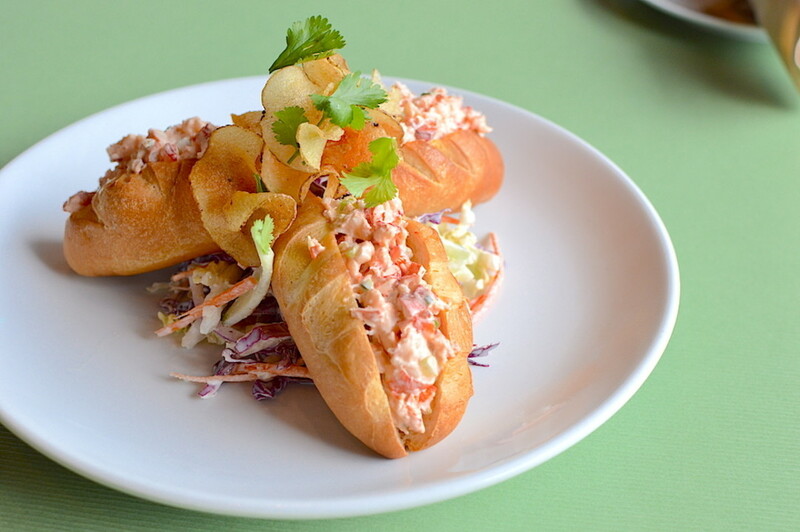 Debuting on the new summer menu at Canopy (3939 Montrose Blvd., 713-528-6848) are the cutest trio of lobster rolls you’ll ever see. Shaped almost like mini croissants, the rolls are baked fresh daily in house, then stuffed with a lobster salad mix that has a bit of an Asian twist to it, thanks to the use of sriracha, sambal, and soy in the recipe. 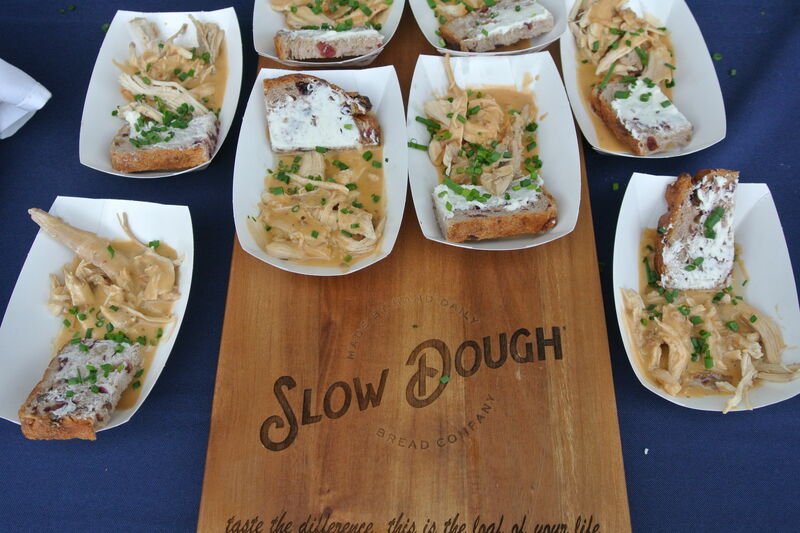 They’re available as an appetizer for lunch and dinner, but these three babies can make a tasty meal all on their own. 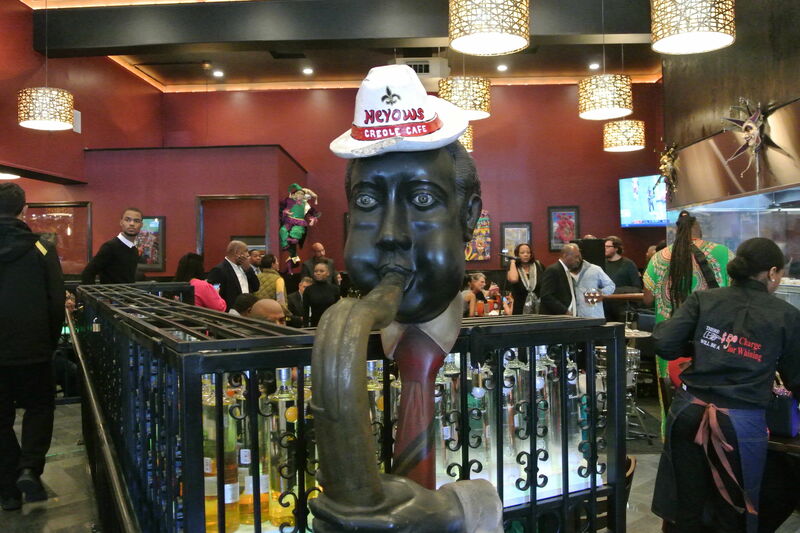 Though it’s no longer on the menu (replaced by the lobster BLT), regulars and those in the know can still order The Palm’s (6100 Westheimer Rd., 713-977-2544) famous lobster roll, made with five ounces of fresh Nova Scotia lobster (they prep all the lobster in-house) and served on a sourdough roll in a creamy tarragon sauce, with a side of fries. The bread is more crisp than some of the softer lobster buns out there, but the buttered-crisp flavor and exceedingly fresh lobster make this a formidable sandwich. 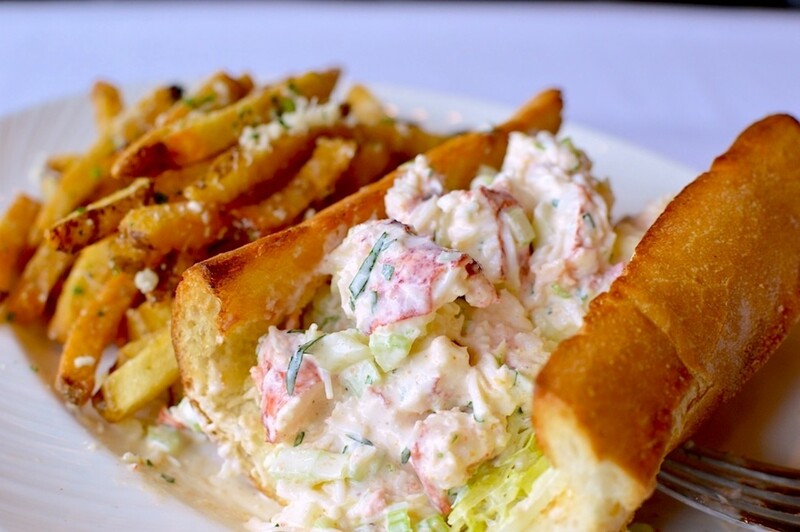 It’s called a “Classic Lobster Roll” on the menu at Up (3995 Westheimer Rd., 713-640-5416), but it must be a loose definition because the current version is anything but conventional. 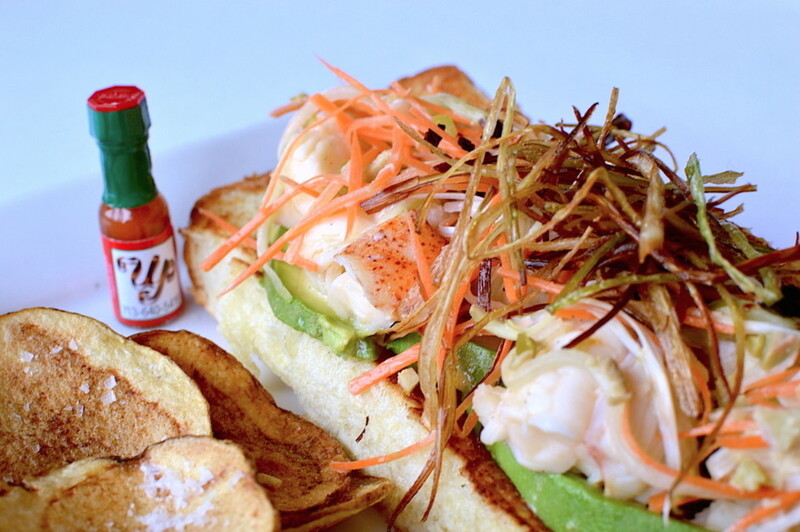 A soft, hot-dog shaped white bun provides the base for Up’s lobster roll, which is topped with slices of avocado, and about four to five ounces of fresh lobster chunks. Served with spicy aoili and topped with green olives, dried miso flakes and fried leeks.